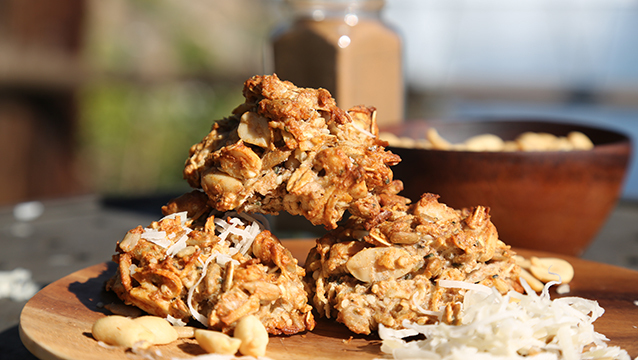 These fishcakes are incredibly easy-to-prepare and make an excellent post-workout snack. They are high in protein and omega-3 fats, helping to keep your heart and metabolism healthy. Pro-tip: double up quantities of ingredients and freeze extra portions to enjoy later! 1. Bake the sweet potatoes at 200 C (390 F) for 30 minutes. 2. Combine the salmon fillets, baked potatoes, coriander, salt, pepper, and garlic powder in a bowl and mix well. 3. 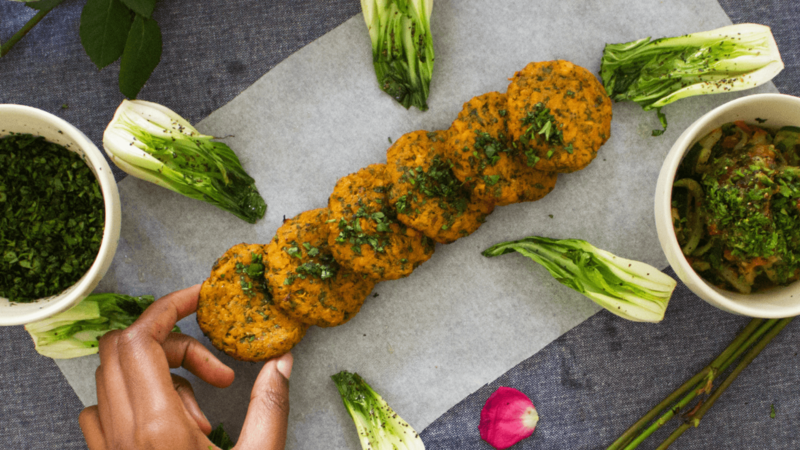 Shape into patties that are approximately 6 cm in diameter and place on a baking tray lined with grease-proof paper. 4. Bake for 15 minutes at 200 C (390 F).